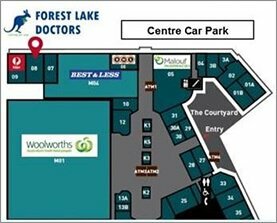 Forest Lake Village Shopping Centre, 8/235 Forest Lake Blvd, Forest Lake QLD 4078, with several pharmacies and many other local amenities available in vicinity. Forest Lake Doctor, the medical center for patients suffering from general as well as chronic ailments and need medical attention and assistance. We’re a team of trained doctors and nurses working together to ensure complete care to the patients. To avail medical help and assistance from the medical center of Forest Lake Doctor you can call on the number mentioned on the website.